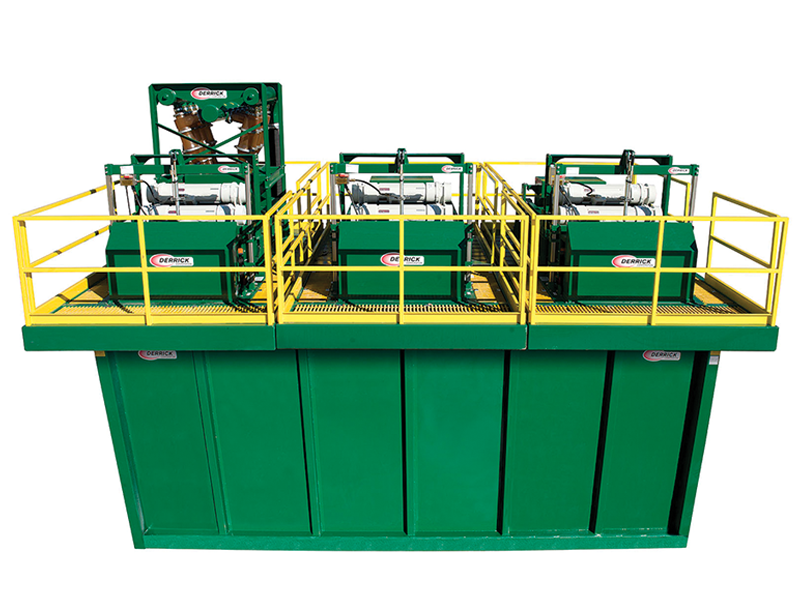 The Flo-Line Primer II™ utilizes a removal cartridge screen belt conveyor system to separate hydrated clays and large drilled cuttings from drilling fluid. This allows finer screens to be installed on the primary shakers, leading to lower dilution and operating costs. The Primer II is used in place of scalping shakers. Two types of screen belts can be used on the Primer II, a stainless steel chain or a synthetic mesh screen belt. The opening sizes available for the chain are 1/2” x 1” and 1” x 1”. The synthetic screen belt is available in 5, 10, and 20 square mesh weave. With a 1.5 HP electric motor driving a variable speed gearbox, the Primer II allows ample adjustment for changes to solids loading. When the chain belt cartridge is utilized, the sprocket roller on the discard end cleans the openings in the chain to eliminate blinding issues associated with sticky clays. When the synthetic belt cartridge is utilized, rotating nylon brushes located at the discard end cleans the screen belt. The feed box has a built-in non-pressurized bypass. 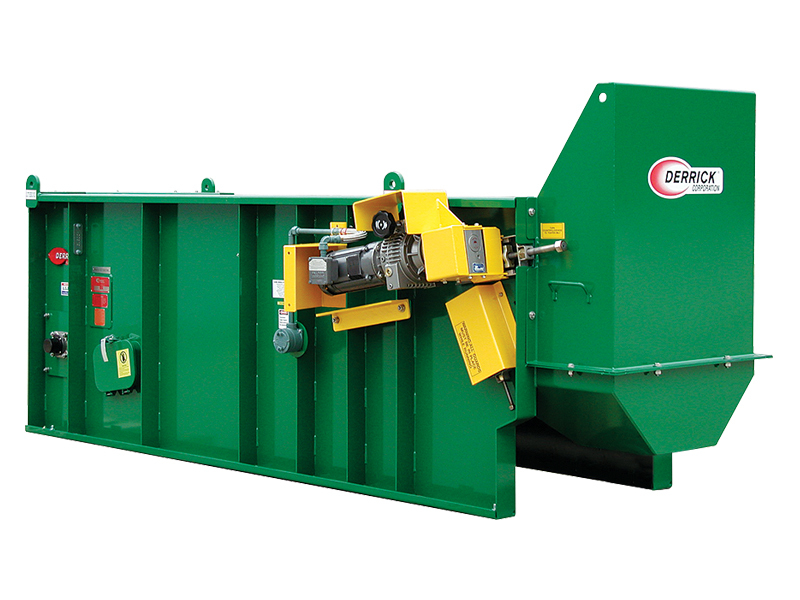 Access doors allow for easy clean out of the hopper, replacing the synthetic belt and the inspection of the feed end roller or sprockets. Optional features include vapor extraction hoods, custom hoods, and custom hopper for oversize outlet.